When a well-to-do family asks Sallie Riehl to be their daughter's nanny for the summer at their Cape May, New Jersey, vacation home, she jumps at the chance to broaden her horizons beyond her Lancaster County Amish community. Though she loves nannying, Sallie has free time on the weekends to enjoy the shore. 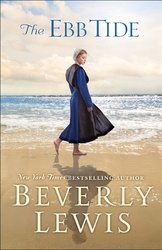 It is there that she meets Kevin and Sallie realizes she's never felt quite this alive-but Kevin is Mennonite, not Amish. Sallie tries to brush aside her growing feelings for Kevin, but she fears what her parents would think about her new friendship. Just as concerning, however, is Sallie's realization that her time in Cape May is increasing her desire to see the world, challenging her plans for the future. Beverly Lewis, born in the heart of Pennsylvania Dutch country, has more than 17 million books in print. Her stories have been published in eleven languages and have regularly appeared on numerous bestseller lists. Copyright © 2017 Bookspan. Crossings Book Club ® is a registered trademark of Bookspan. Credits will not expire, so you can use them at any time! All pre-orders are sold at the Membership Price or for one Member Credit, and are shipped separately.